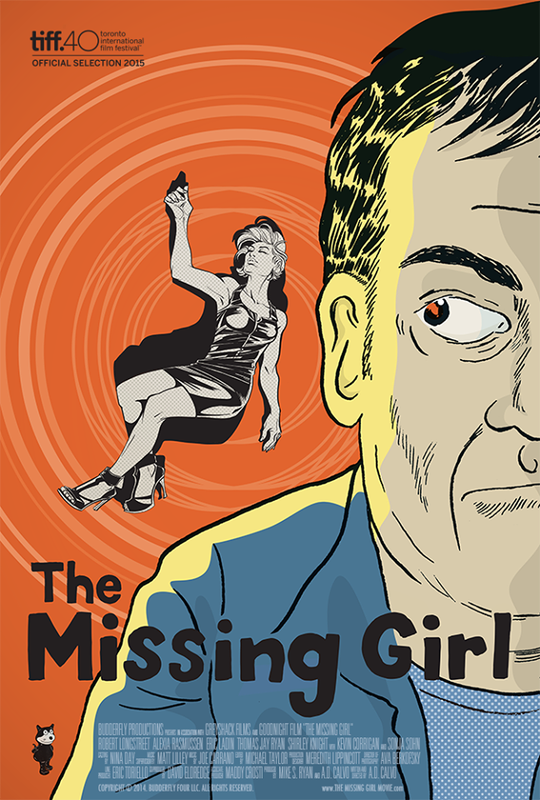 A.D. Calvo's The Missing Girl features some really nice art by the St. Louis-based comic artist, Sacha Mardou. 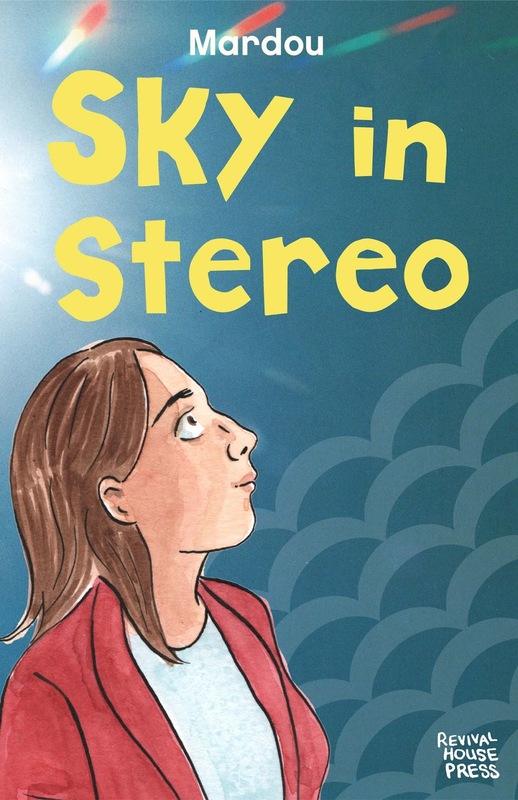 Mardou not only designed the poster, but her art is featured between scenes in the film and serves as the art created by Ellen, the young comic creator in the film. Here's a lovely collage Mardou created for the back of Ellen's sketchbook. I need to step up my notebook game. Mardou's Ignatz-nominated graphic novel The Sky In Stereo is about a young woman who's about to turn 18. 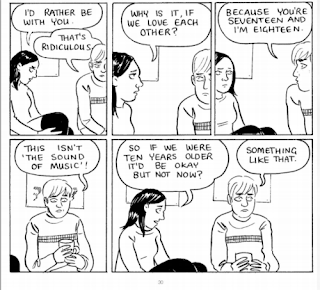 Her life is all complicated and involves music (of course) and boys and figuring things out. 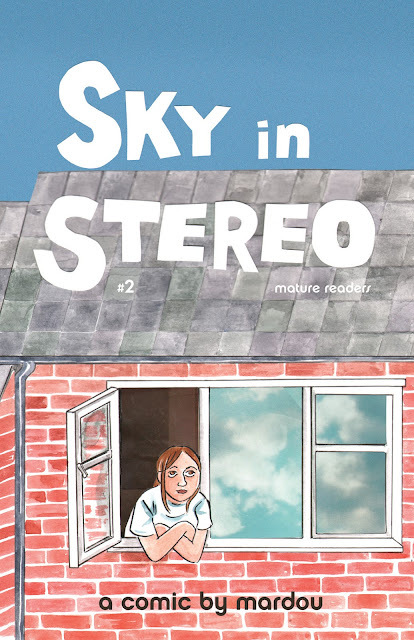 I also like this cover for volume one. 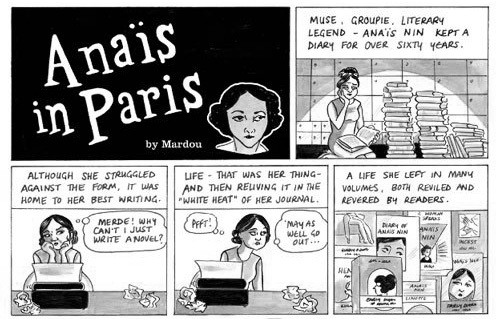 She's also done a minicomic about the life of Anais Nin called, Anais In Paris. I just like this man on Mardou's tumblr. 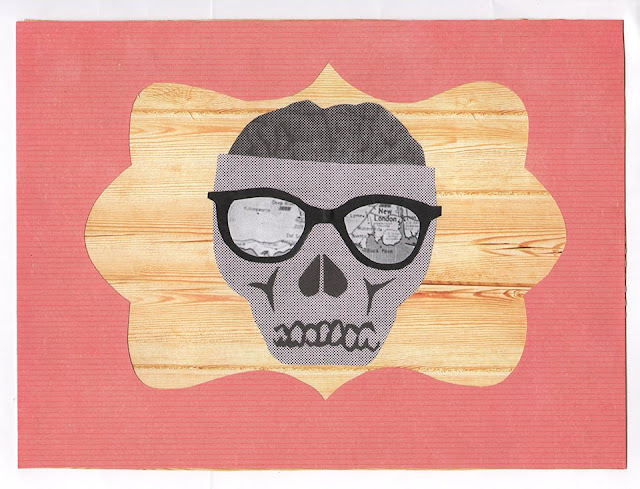 See more of Mardou's work at her Tumblr. And see more of Mardou's doings at her website. And there is an interview with her at The Believer.